We are one of the leading manufacturers and exporter of an engineered range of Steel Pipe Outdoor Lights such as roadway lights, traffic lights, LED outdoor lights, area lights, LED lights, etc. 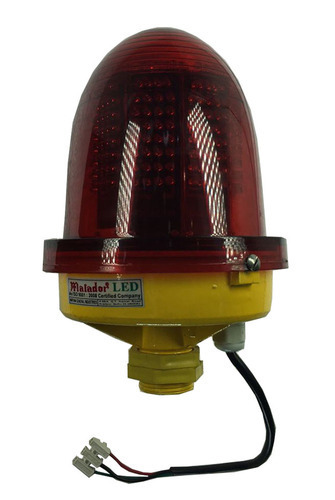 We are renowned for providing complete lightning solution as our organization has emerged as one of the largest manufacturer and exporter of a qualitative range of Outdoor Lights that include Aviation Obstruction Lights, GLS 60/100W Luminaries, Neon Spiral Luminaries, Solar LED Aviation Light, Rubber Speed Breaker, Delineators and Traffic Cones, LED Lamp Aviation Light Medium Intensity, Industrial Lights, Hazardous Area Lights and many more. These are available in various specifications and are widely demanded in several parts of the world.